I have a narrow foot and plantar fasciitis. I currently wear the Danskos in narrow. Of the Sven styles, which footbed would I need? 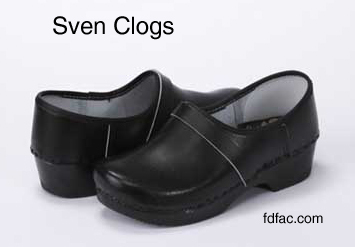 Are there other brands that offer the same foot benefits as the Danskos in narrow? I went through cortisone injections, physical therapy and many other options before finding the Danskos in a narrow. They completely ended my pain, but I have to wear socks with a fair amount of thickness to make them fit correctly!